Why use Easy Seal Water Based Sealer? 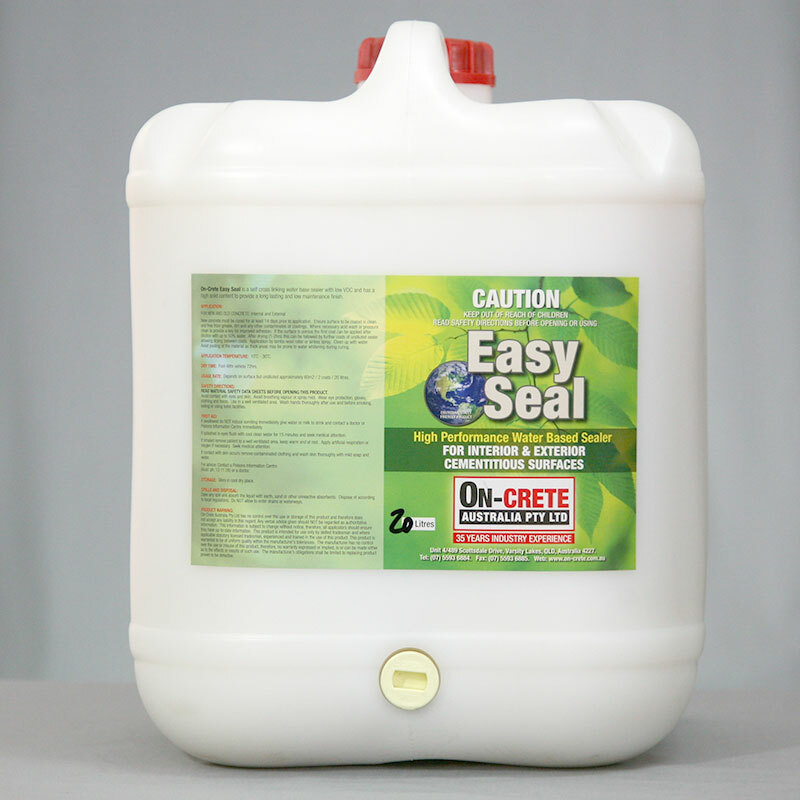 Easy Seal is a water based sealer for concrete and cementitious coatings, with a blend of self cross-linking polymers. It is of high performance and low sheen. It is formulated to provide ease of application. Fast drying with excellent adhesion and general protection for concrete.